(L-R) Carl West, web manager, Bonacia, Morgan Walton, director, Bonacia and Rob Mulligan, managing director, Whitmar Publications. On the 30th June we packed our bags and headed into London for the Print, Design and Marketing Awards on-board the Silver Sturgeon. The awards recognise the incredible work being achieved by print companies around the United Kingdom. 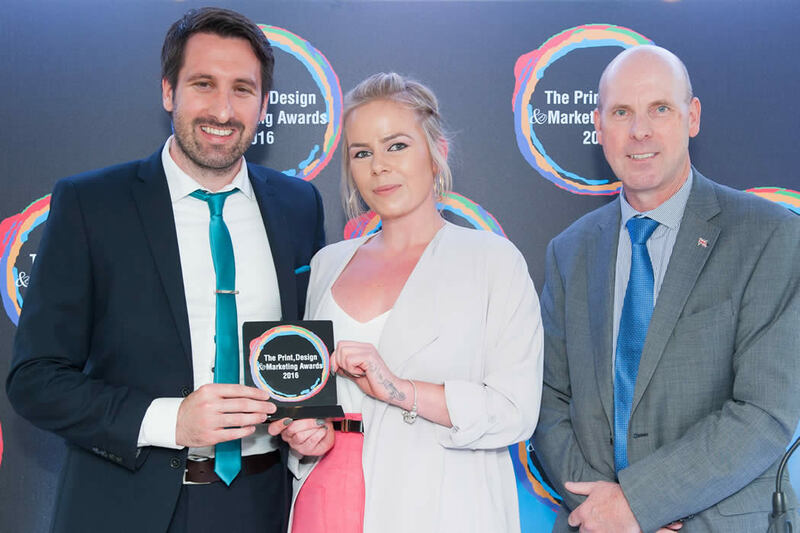 The day was fantastic and wonderfully organised by the team at the Print, Design and Marketing Awards. We were shortlisted for a number of awards but competition was fierce. We ended up being awarded 'Best Website' for www.magicchair.co.uk, and came close to a couple of other awards. Whilst we were disappointed not to win more, we are delighted with the result and there were a lot of fantastic companies there. Besides, we have been nominated for more awards later on in the year, so fingers crossed. P.S. Check out the Magic Chair website for an example of some of the amazing illustrations our designers and artists could create for your book. Take a look at our other design services to help make your booklet look great.